Comprehensive field fire and smoke campaigns such as the Fire and Smoke Model Evaluation Experiment (FASMEE) need to carefully design and implement prescribed fires to generate the desired smoke plumes to be measured. Weather is one of the most important factors to be considered while designing a prescribed fire. The research is important because prescribed fire generates smoke, which can harm human health – particularly pertinent in areas where forest lands and human populations interface. The Southeast is one of the sites planned for the Fire and Smoke Model Evaluation Experiment (FASMEE) field campaign. SRS conducted a research project supported by the Joint Fire Science Program to identify the preferred weather systems for generating the desired smoke plumes for FASMEE measurements. The scientists modeled smoke plumes by day and fog at night. They also measured smoke drainage at night. 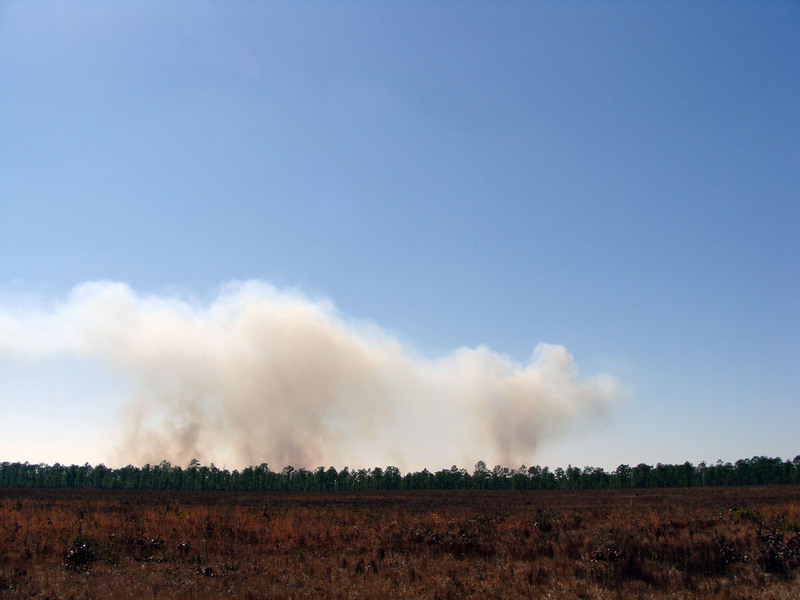 In all simulations, the setting was hypothetical prescribed fire at the Stewart Army Base in southeastern Georgia. Field-measured plume heights were used to evaluate model performance. Weather conditions on the FASMEE experimental burn days could vary remarkably on a daily basis, the simulations suggest. To generate the desired plumes for FASMEE measurement, the prescribed burns would likely need to be conducted between two low-pressure systems. Meanwhile, as the fire smolders into the night, the burns would likely lead to fog formation when the burn site is located in the warm and moist section of a low-pressure system or a cold front. The results are intended to help in planning smoke measurements of FASMEE as well as similar field campaigns.